Long before Game of Thrones, Shakespeare was cooking up his bloody tales of intrigue and power, and in Richard the Third, he served us one of his most deliciously evil villains: Richard of Gloucester. A man without conscience, he's set his sights on ruling and will stop at nothing to achieve his aims. Director David Muse returns to Shakespeare Theatre Company after his hit production of King Charles III with this stylish, incisive take on one of Shakespeare's most timely plays. Don't miss Matthew Rauch (Broadway's Junk) as he embodies the ruthless Richard at Sidney Harman Hall in Washington, D.C. "...Arriving by way of industrial chic with a strong whiff of American Horror Story's sense of the macabre, the Shakespeare Theatre Company's Richard the Third joins last season's Hamlet in delivering the Bard through an unflinchingly modern lens. And as with Hamlet, it is fantastically devious." 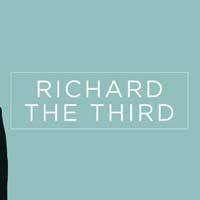 "...Richard aims to usher us from our winter of discontent. With the vision of Richard's dystopian rule, I am tempted to stay firmly burrowed like the groundhog, reluctant to venture forth. Shakespeare's tale of villainy, and the Shakespeare Theatre Company's interpretation, asks the audience to venture into a severe and harsh world. It is a dark and fascinating journey, but not for the faint of heart." "...At the heart of it all remains one of the great villains, and most vivid characters, not only in Shakespeare but in dramatic literature generally. Rauch's Richard is a memorable one, a reminder not of the banality but of the charisma of evil." "...This is a rare production of "Richard the Third" that posits that the play is not just about Richard. It is worth seeing to see so many fine actors prove that argument." "...Richard the Third is one of those plays that begins with heightened anticipation for how the famed opening lines will be staged-Muse presents Rauch sitting, his back against a wall, bouncing a rubber ball. He exclaims the memorable pronouncement not wet with malice nor burnished with defiance but almost as a question, as if the thought has just come to him."